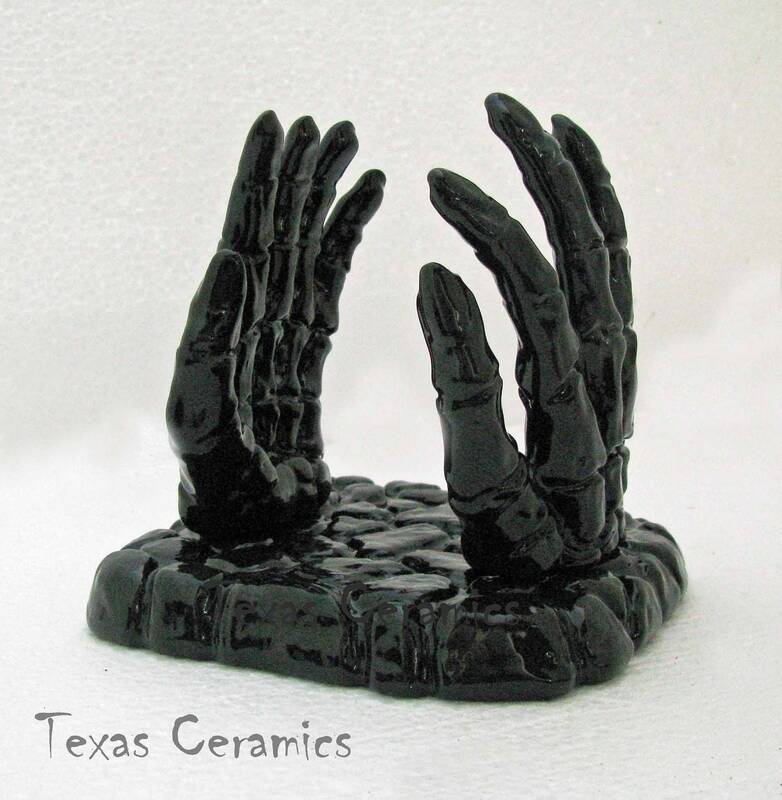 This skeleton hands letter holder or desk organizer is a part of my creepy decor ideal for Halloween or for decorating your favorite haunt at the home or office. This pair of skeleton hands can also be used as a napkin holder or to hold rings or signs in a window, your imagination is the limit. Add other skull items to create an organized haunted setting. • 4 1/2 inches deep, the hands are secured on each side of the holder. This skeleton hands holder is made of earthenware ceramics, each piece of cast from a mold and fired in my kiln. 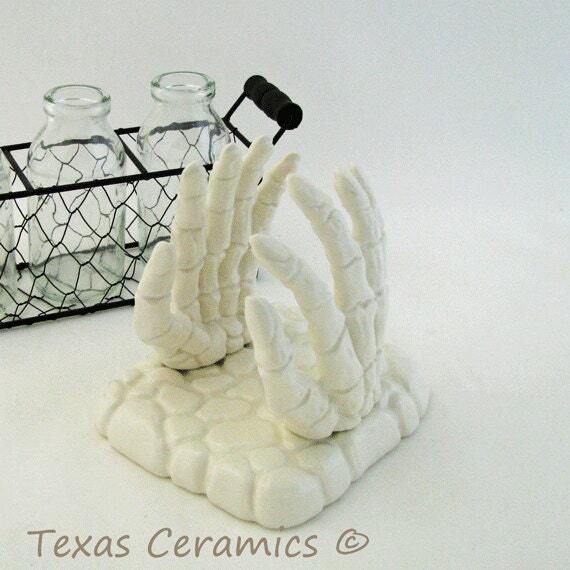 This human skeleton hands holder finished in a a lead free gloss glaze - you have a choice of all black or all white. The glaze is non-toxic, contains no lead and is people friendly. 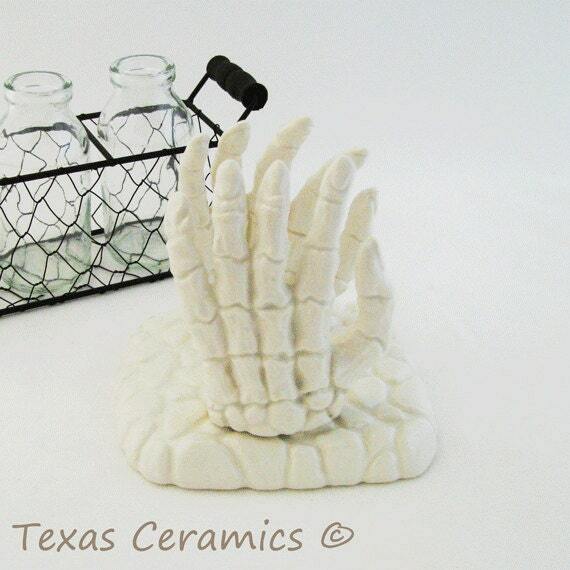 This skeleton hands holder is made for fun, what better way to add a little creepiness to a Halloween party setting or to add a little intrigue to the office by using it for outgoing mail or memo's. 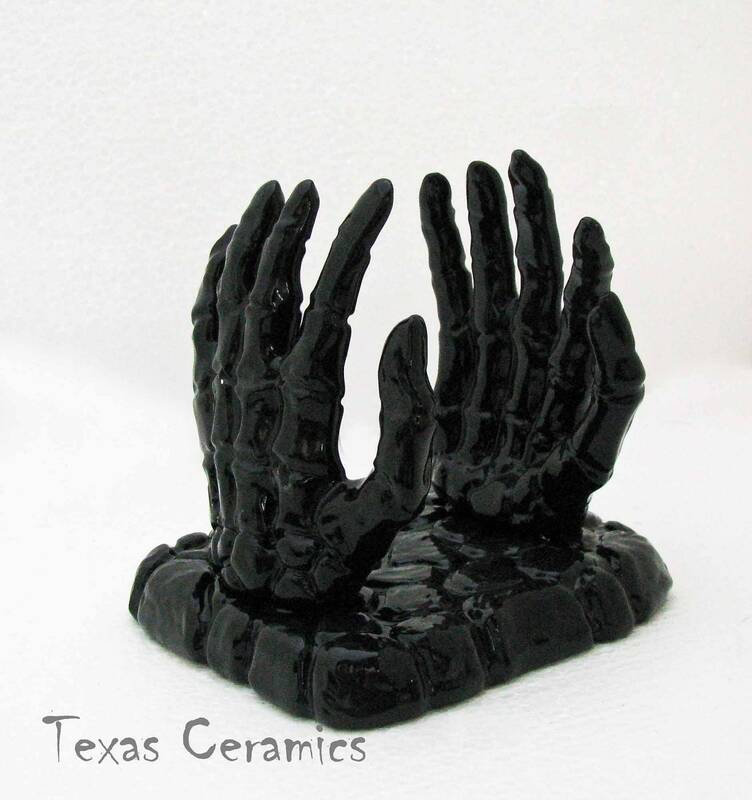 Each ceramic skeleton hands holder is made of the best materials available and is made in my shop located in Central Texas. I use many techniques and non-toxic glazes to achieve the final piece you see. This unique holder is made to last many years. Exactly what I wanted, The seller was kind enough to bring this piece back into her shop when I inquired about it. It has a really nice finish to it and keeps all my loose papers on my desk, keeping it nice and tidy. Fast shipping - Thank you! Recommended Seller. 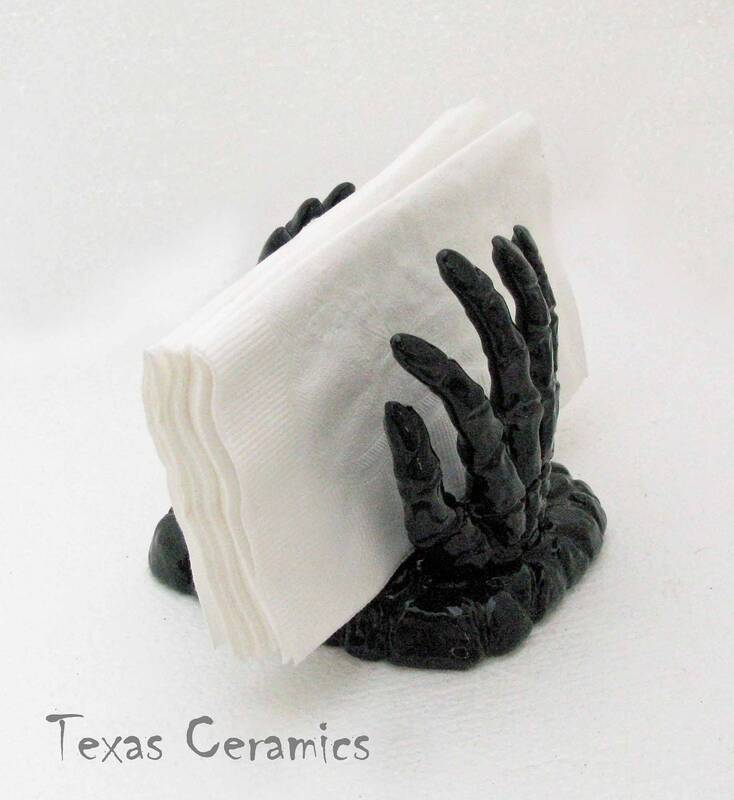 This skeleton hands napkin holder is awesome! It's pictured in my Halloween 2013 slideshow -- http://animoto.com/play/RXb7AL7IRnKHDpyeEKs6tQ Also at www.designerinteriorsnj.com -- Click on "Holiday" for an additional video :) Terrific seller! A+ Transaction! Thanks!